The only time you should ever look back is to see how far you’ve come. — This week we will take a look at some of the benefits of reflection. 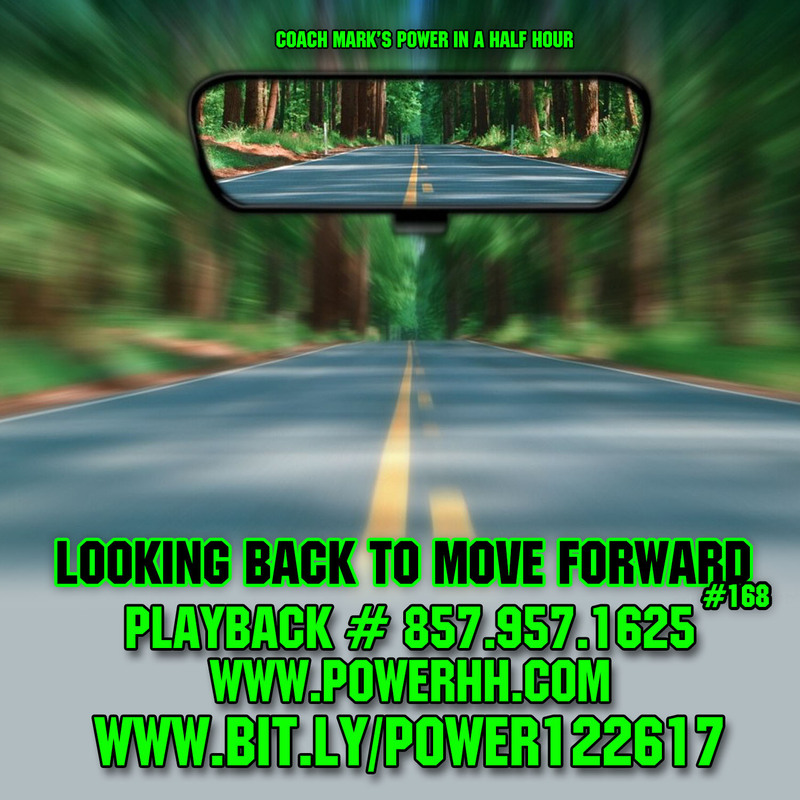 It is only when we reflect, that we can do more of what we did right & make changes to improve what we may have done wrong. We will also go over the 25 things that you can reflect on before we hit 2018. “It is in your moments of decision that your destiny is shaped” – Tony Robbins — Our lives are a product of the decisions that we make, but how do we make these decisions? 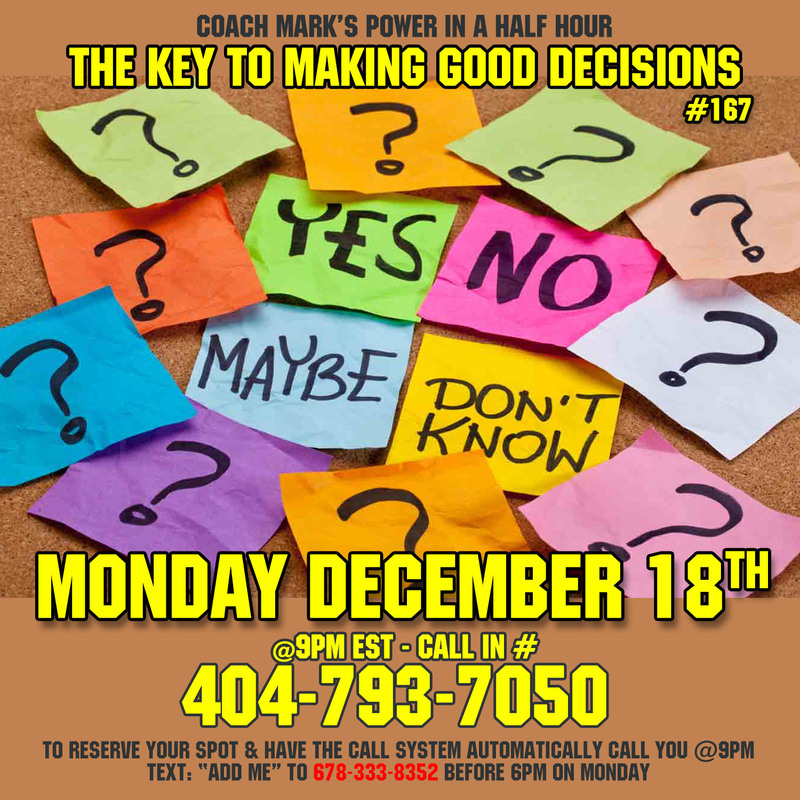 This week, I will share with you some of the cognitive biases that screw up our decision making as well as the the keys to making good decisions. “The art of being happy lies in the power of extracting happiness from common things. – Henry Ward Beecher — We all want to be happier, but how do we make that happen? 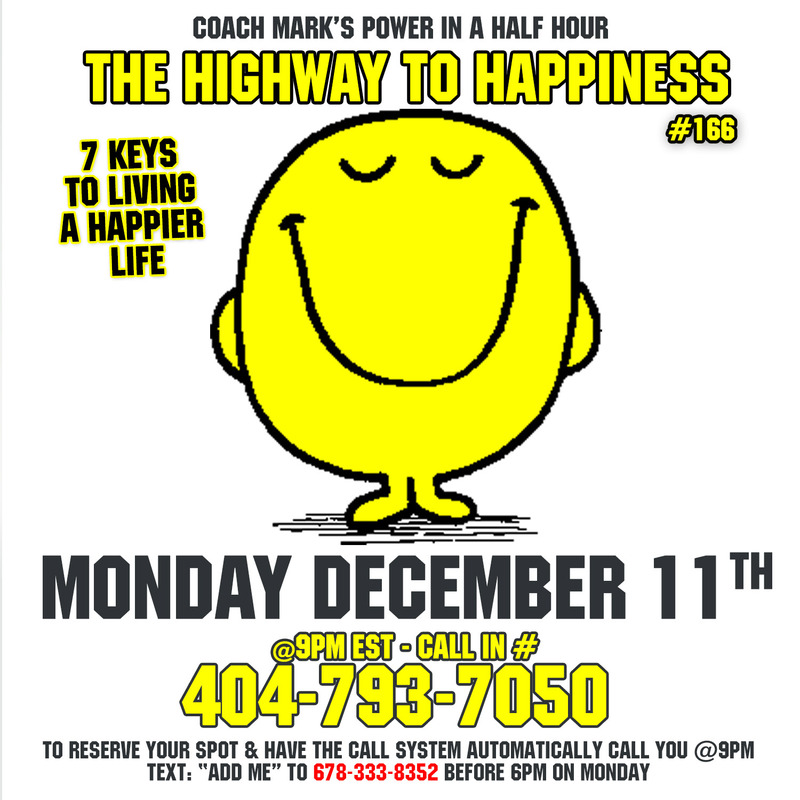 The goal is to live the happiest life possible, and this week we will discuss how to make that happen and the 7 keys to happiness. The statistics on sanity are that one out of every four Americans is suffering from some form of mental illness. Think of your three best friends. If they’re okay, then it’s you. – Rita Mae Brown — As wonderful as life can be, it can sometimes get real crazy. What do you do when your life seems to be spinning out of control? 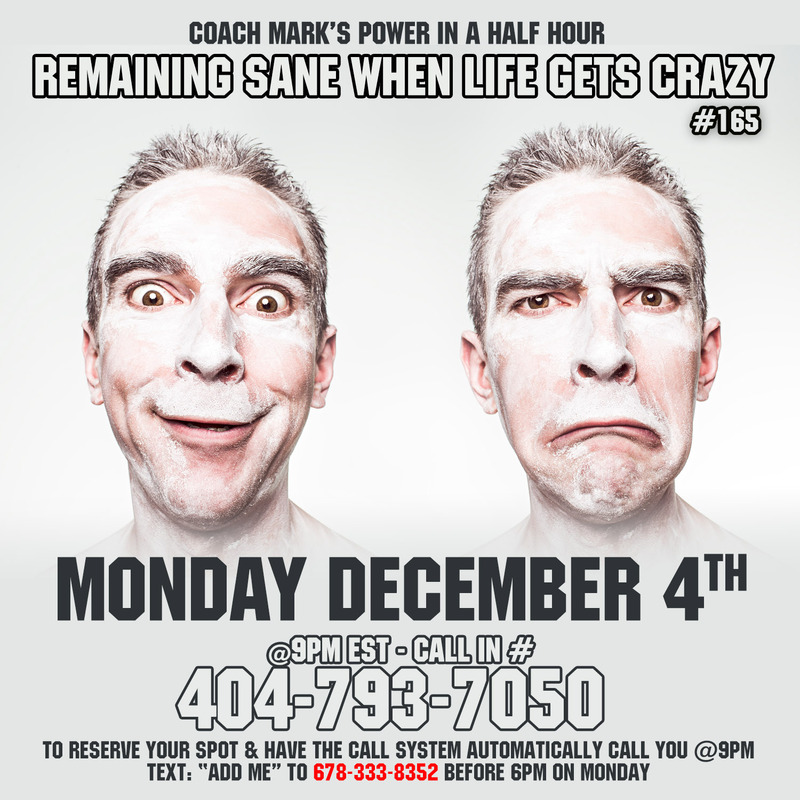 This week we will discuss some strategies that we can utilize when life is out of control.